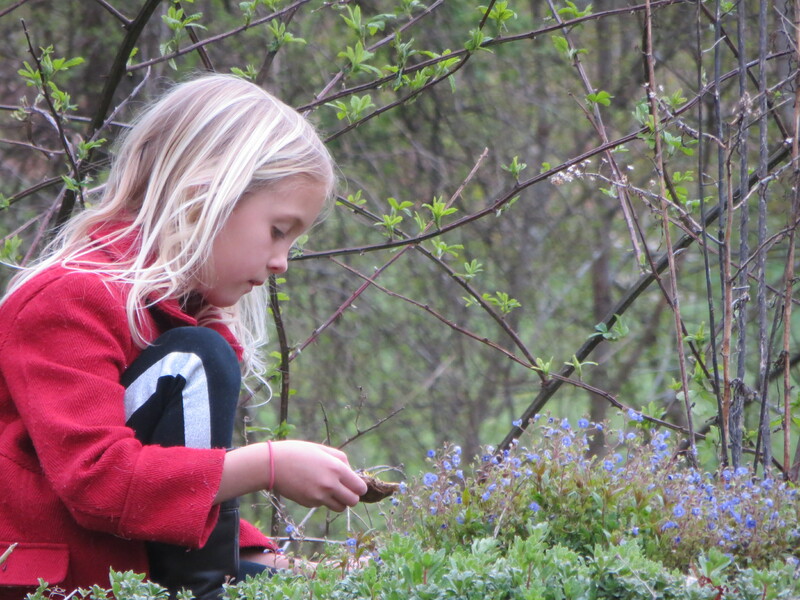 The weather this weekend was metaphorically perfect for Easter. Friday dawned cloudy and cool, finally turning into a drizzle which morphed into a true rain which then lasted through half the night of Saturday, rarely letting up. It was such dreary weather that it got to be depressing, sending us all to bed extra early on Saturday night. I was so cold that we built a fire and I added another blanket to my side of the bed. But, Sunday dawned “rosy-fingered” and beautiful, the world washed clean. A sunshiny, warm day proceeded with lots of Easter egg hunting (3 in all) and visits with family at church and over Sunday dinner. We also planted potatoes on Friday and attended a fiddle contest on Saturday. Lots of young, wonderful fiddlers–Anne played really well but did not place. 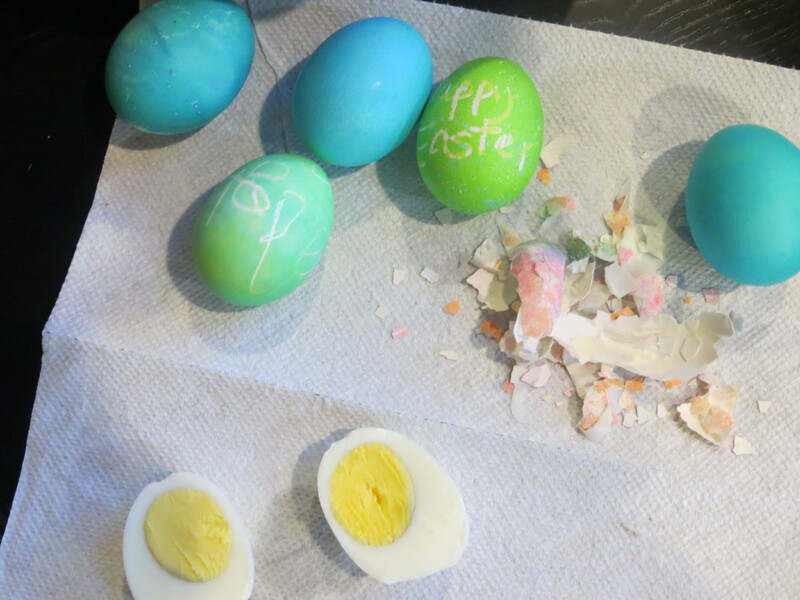 Easter egg dying and hunting also happened all weekend. 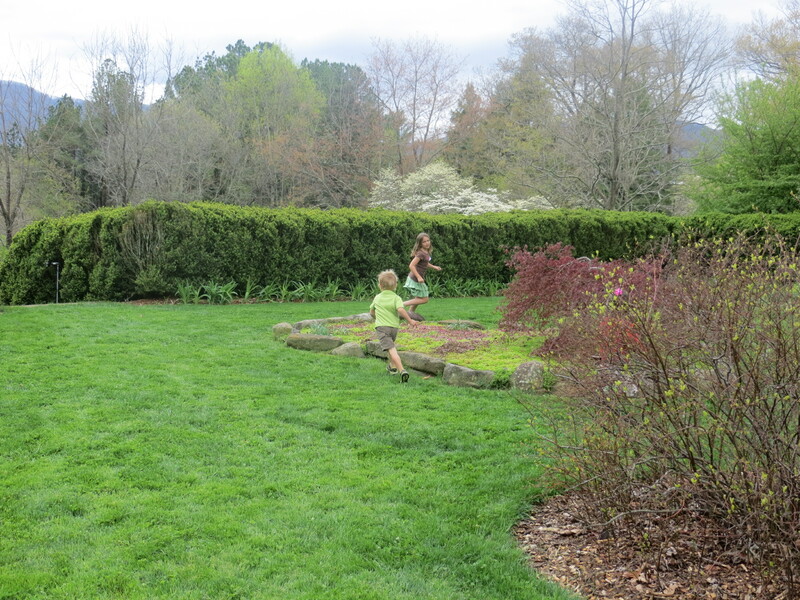 The children dyed 2 dozen eggs on Thursday and Friday, and immediately set up a game of hiding eggs for each other. This game has continued even this morning, with Hythe hiding the few eggs that are left for Steven to find. 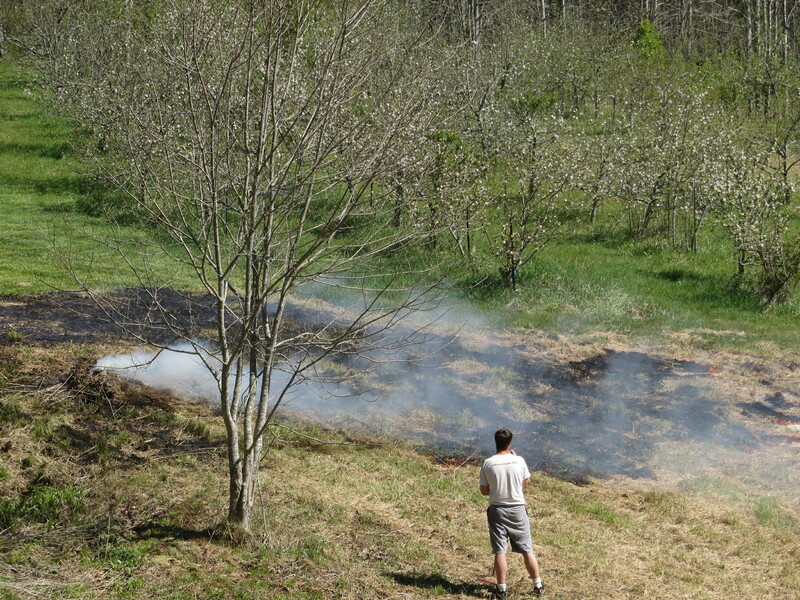 On Sunday afternoon, I woke up from a luxurious nap to see William tending a fire in the field by our house. 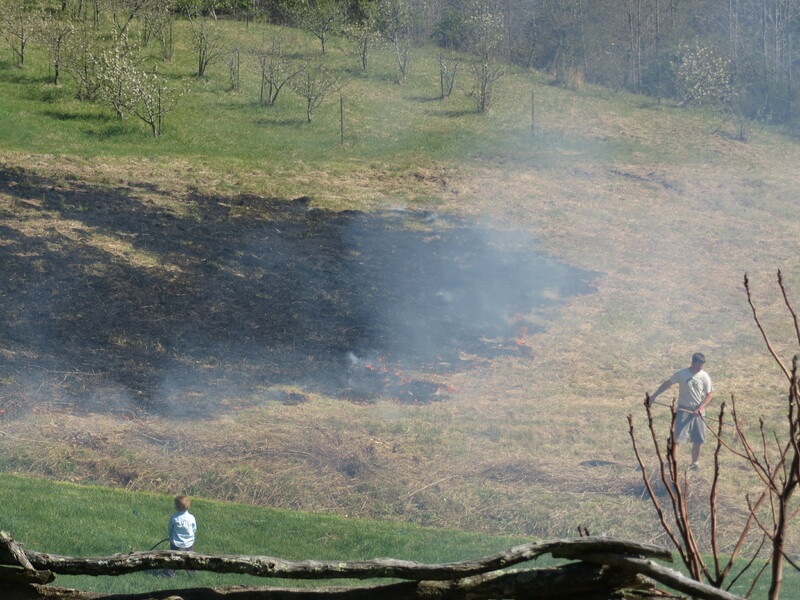 He said he was just going to burn a little brush, but the light wind pushed the fire into the dry grass and the field started to burn, so William, with Hythe’s help, did a controlled burn for the quarter acre that he had bush-hogged the other week. I am sure other women feel this way too, but sometimes I look out at William doing something like this and think, “Why is he doing that? We have so many other chores to do that are more important than that one.” However, usually whatever task he does which I deem “silly”, turns out to be important or fortuitous in the long run. Likely, there will be some great benefit from this burning. William did not burn any more brush piles that afternoon–he loaded the rest in wheelbarrows and carted them away.